In 2000, John Epstein found his life passion when he got involved as an assistant in a communication training class in which he was a participant. A senior facilitator advised him to become a trainer for the organization, and the certification process began. Over the next several years John conducted six 12-week courses, earning evaluation scores that consistently exceeded global benchmarks. His enthusiasm and expertise led the company’s leaders to ask John to be a coach and mentor to a number of junior instructors. John’s extensive business-to-business sales experience and certification as a trainer opened the door to Nielsen in 2006. As Director of Internal Learning & Development, he worked closely with the client-facing associates in Nielsen’s US Media business – facilitating sales, negotiation and presentation skills classes, speaking at sales conferences, conducting needs analyses and developing learning curricula, among other duties. The scope of Epstein’s activities reached a global group of colleagues and internal stakeholders across the breadth of Nielsen’s portfolio. In 2014, John conducted a train-the-trainer on four continents, certifying senior leaders from over 20 countries to facilitate the sales and negotiation programs that he wrote and developed. To date, this network of trainers has had over 1,000 client-facing associates participate in their classes. In 2015, John took his love for running learning programs and formed Actionable Learning Corp., providing contract facilitation services focused on consultative sales, negotiation and presentation skills. 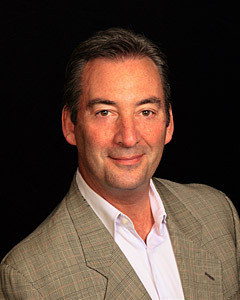 John Epstein is a member of ATD and Toastmasters International. He lives outside of New York City with his wife and two children.